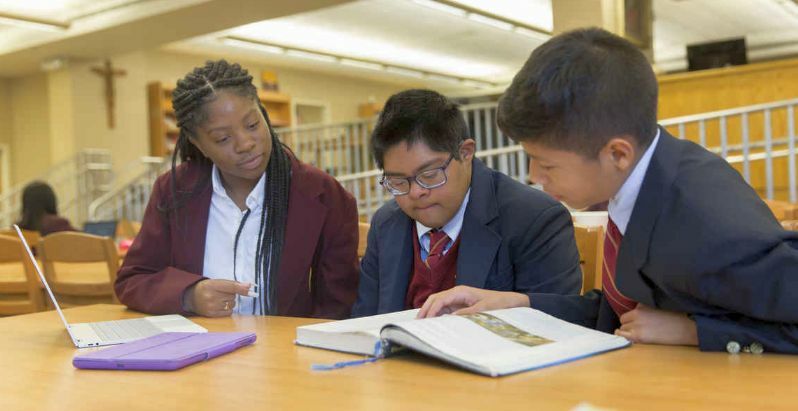 Furthering Bishop McNamara High School's vision to form empowered leaders, inspired by the Gospel, who transform the world, the St. Andre Program provides a home for students with intellectual disabilities. 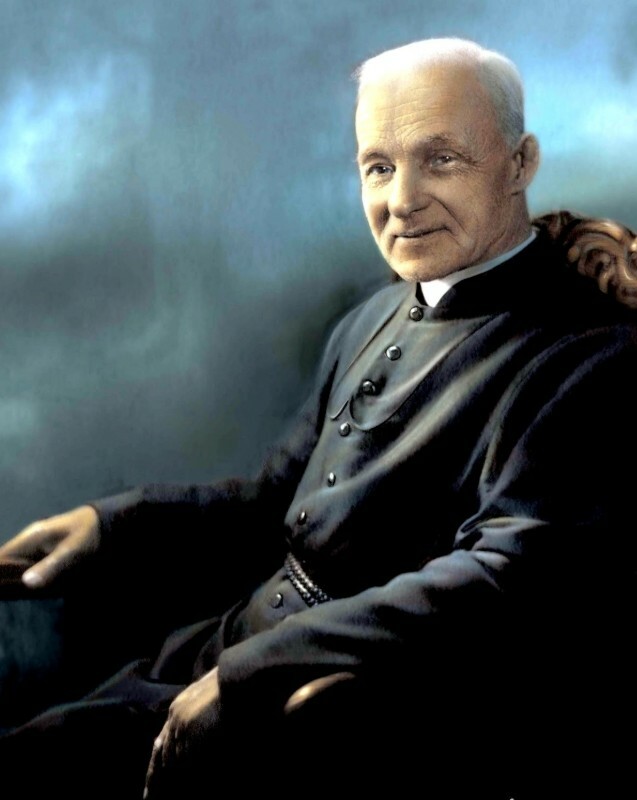 The St. Andre Program, named in memory after Alfred Bessette, who became the first saint of the Congregation of Holy Cross when he was canonized by Pope Benedict XVI on October 17, 2010, the Church recognized that God chose a very simple man for a remarkable life of service to the Church. Bishop McNamara recognized St. Andre as the perfect model for this Program given his desire to do ordinary things extraordinarily well among those whom he served. Students in the St. Andre Program attend courses with their peers at least half of the day, along with receiving specialized instruction in our St. Andre classroom in reading, math, study skills and life skills and they participate in all aspects of the Holy Cross community. Upon completion of the Program, they receive a certificate signifying their accomplishments here at Bishop McNamara High School. Recently, The Catholic Standard, the bi-weekly newspaper serving the Archdiocese of Washington in Washington, D.C. and surrounding Maryland areas of Calvert County, Charles County, Montgomery County, Prince George's County and St. Mary's County, featured the St. Andre Program at Bishop McNamara High School in its latest issue in an article titled, "Through new program, students with intellectual disabilities can find a home at Bishop McNamara." As Raymond Tetschner '21, a student in the St. Andre Program, noted in the article when asked what his favorite thing is about attending Bishop McNamara he said, "It is a family." 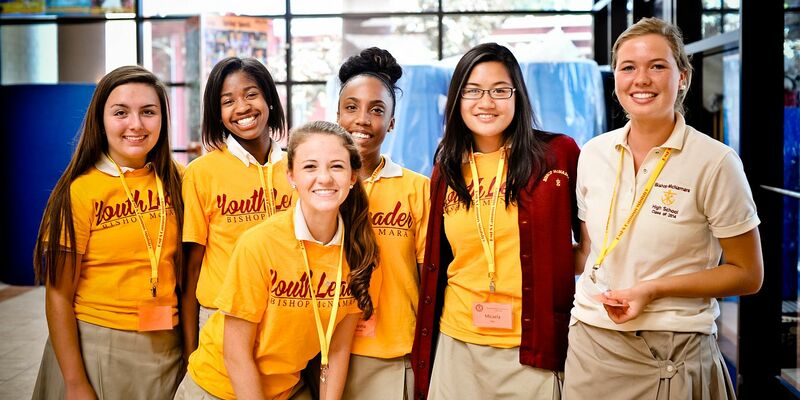 The St. Andre Program helps to fulfill Bishop McNamara's mission to educate hearts and minds in a dynamic, inclusive Catholic school community rooted in the Holy Cross tradition and we look forward to the success and growth of this important and mission-centered program.